Our range of products include natural graphite flake, graphite flake and natural graphite. Natural Graphite results from the transformation of organic matter deposits subjected to the effect of very strong metamorphic pressures combined with high temperature, over millions of years. Basically, the graphite flakes are liberated by successive phases of mechanical grinding in wet phase. The purpose of this stage is to release the maximum of graphite flakes while trying as well as possible to preserve the integrity of the large-sized flakes. Subsequently, the flakes released are separated from the impurities (gangue) by flotation. This process, repeated several times, makes it possible to reach purity levels as high as 95.0% carbon. The flakes collected are then dried and classified in different particle size ranges by sieving, according to the needs of the various applications. We classified the main applications of graphite by the market segments, where the powders are supplied to, namely mobile energy, tribology-lubricants, automotive industry, thermally conductive polymers and the metallurgy sector. Natural Graphite results from the transformation of organic matter deposits subjected to the effect of very strong metamorphic pressures combined with high temperature, over millions of years. Basically, the graphite flakes are liberated by successive phases of mechanical grinding in wet phase. The purpose of this stage is to release the maximum of graphite flakes, while trying as well as possible to preserve the integrity of the large-sized flakes. Subsequently, the flakes released are separated from the impurities (gangue) by flotation. This process, repeated several times, makes it possible to reach purity levels as high as 95.0% carbon. The flakes collected are then dried and classified in different particle size ranges by sieving, according to the needs of the various applications. We classified the main applications of graphite by the market segments, where the powders are supplied to, namely mobile energy, tribology-lubricants, automotive industry, thermally conductive polymers and the metallurgy sector. 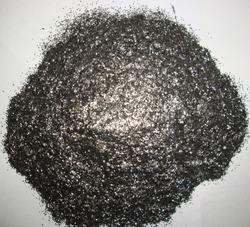 We Rahul Graphites Limited are Manufacturers of Natural Graphite. 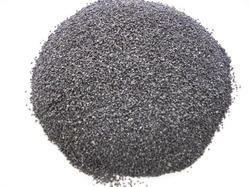 Our organization is the topmost provider of Natural Graphite to our clients. This powder is completely checked before being delivered to our clients. Furthermore, we are offering this powder at a suitable price. This Natural Graphite Powder is known for its precise composition and longer shelf life. Moreover, to attain the maximum satisfaction of clients, we provide this product at the industry-leading rate. 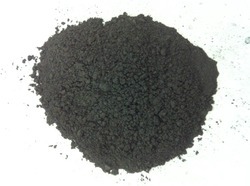 Looking for Natural Graphite Flake ?